Abstract: The 1970s signalled important policy changes in Australian education and ushered in a period of dramatic change as the government was committed to reforming and revitalising education (Rawolle, Wells, Paatsch, Tytler, & Campbell, 2016). At the national level, the drive for reform was set in motion through the establishment of the Australian Schools Commission. Two key assumptions underpinned this development. Firstly, funding ought to be allocated on a needs basis to students and secondly, increased decentralisation of decision making to local authorities was a ‘good thing’ and, therefore, enhanced autonomy of schools should be progressed (Ainley & McKenzie, 2000; Rawolle et al., 2016). It was argued that these changes would lead to enhanced quality, effectiveness, and responses by education to enable a more equitable and balanced society (Ainley & McKenzie, 2000; Rawolle et al., 2016), and in so doing, provide more choice in the ways in which children are educated (Eyal & Berkovich, 2008). Parents and educators in recent years have become increasingly disillusioned with the current context of schooling and, buoyed by the rise of individualism and marketization of education, they have sought alternative solutions. One alterative has been home schooling (English, 2013; Jolly, Matthews, & Nester, 2013; Winstanley, 2009) and another alternative has been for parents or educators to establish their own schools that reflect their own particular values and educational needs (Eyal & Berkovich, 2008). The research undertaken has focused on the latter option using qualitative methods to investigate and understand the interplay between such a group initiative and the relevant government regulations pertaining to it. In particular, Lynda’s research has focused on how a group of individuals (parents and teachers) make decisions about meeting the government criteria and required educational documentation in order to establish a school they believe will meet their individual and collective goals. The school in question is a school for gifted children. As a member of such a group, Lynda has opted to use participant observation within an auto-ethnographic approach. This methodology “has proven to be the best way to learn, in detail, about a diverse range of complex social phenomena from personal experience” (O’Reilly, 2012, p. 1). Biography: I began my professional career in 1979 as a student nurse at the Repatriation General Hospital. In 1982, I became a qualified nurse. I then worked in a variety of roles, including as an educator. I had a community-oriented focus, wanting to work with people. I had a dream to work in remote regions of Australia, to engage more fully with indigenous culture. I was fortunate to be offered a position at the Queen Victoria Hospital in 1989 to complete my training as a Midwife. It was a year later that I was offered a placement in a remote community in South Australia, where I worked for many years as a remote area nurse. During this time, I taught health at the local school. In 1996, I returned to Adelaide, as my own children needed a more formal education. I returned to the Repatriation General Hospital, where I worked part time in the ICU whilst I followed my passion for Science by enrolling at Flinders University to complete a bachelor’s degree with a major in Chemistry. My desire to teach became even stronger during this time and so I decided to complete a bachelor’s degree in education. In 2005 I started my teaching career at a local high school teaching Mathematics and Science. It was during this time I noted that my own children and many other gifted children’s needs were not being met in the regular classroom. I undertook professional development courses on Gifted Education, but my curiosity needed more in-depth study at a post graduate level, so I enrolled in a Master’s degree in Education with a focus on Gifted Education. I worked for many years in Gifted Education as an Assistant Principal, while becoming increasingly more aware that there was much more that needed to be implemented for gifted children. In late 2013, a group of educators who were passionate about Gifted Education was formed, and regular meetings focused on establishing a specialist school dedicated to the education of gifted students commenced. The concepts and ideas that emerged formed the philosophical basis of Dara School and four years later the doors finally opened to our first group of gifted students. 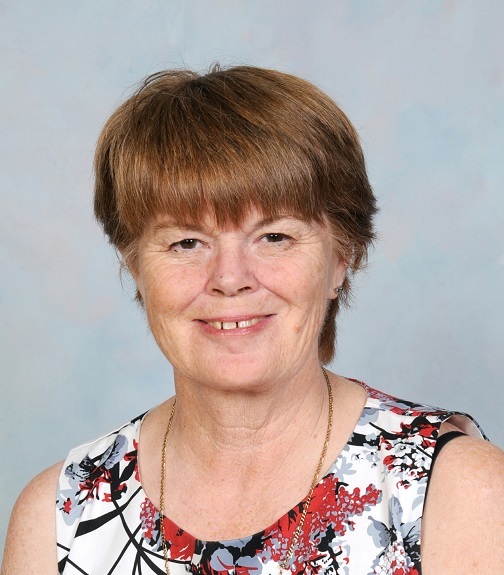 Throughout the establishment phase of starting Dara School, I have been working as a doctoral student at Flinders University, writing an auto-ethnography thesis, as I believe it is important to tell the story of Australia’s first, full-time specialist school for gifted students. For more information about the Dara School : https://www.daraschool.sa.edu.au/ or to contact Lynda Simons lynda@daraschool.sa.edu.au. This entry was posted in Connect, Research, Research Seminars and tagged excellence in teaching. Bookmark the permalink.